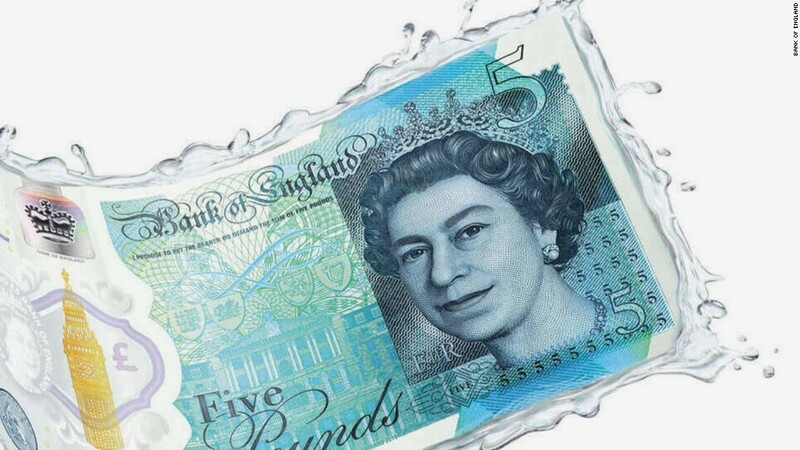 A campaign to stop the Bank of England from using animal fat to make its plastic banknotes has failed. The central bank announced Thursday that it will continue using trace amounts of tallow, which is derived from animal fat, in the production of new plastic notes despite protests from vegetarians and religious groups. The bank said it had "not taken this decision lightly." But it was unable to find an acceptable alternative to using tallow in the manufacturing process. One possible substitute, derived from palm oil, was rejected because of environmental and cost concerns. The use of animal fat in Britain's new £5 notes first came to the public's attention in late 2016, sparking a backlash from some vegans and vegetarians, as well as Hindus, Sikhs and Jains. An online petition calling for the bank to stop using the substance gathered over 130,000 signatures. Doug Maw, who started the petition, criticized the bank's decision to keep using the meat industry byproduct. "The bank was supposed to represent all of the British public. Their decision to continue using animal parts in the manufacture of polymer notes shows this to be untrue," he said in a statement on Thursday. The bank said it recognized the concerns raised by the public, but stressed that its polymer notes only contain trace amounts of chemicals derived from animal products, typically less than 0.05%. The bank said that tallow from roughly 50 cattle would be required to produce the 9.3 billion new £20, £10 and £5 notes that are needed over the next decade. "As a comparative figure, the total cattle production in the United Kingdom in 2016 was 2.8 million," the bank noted. 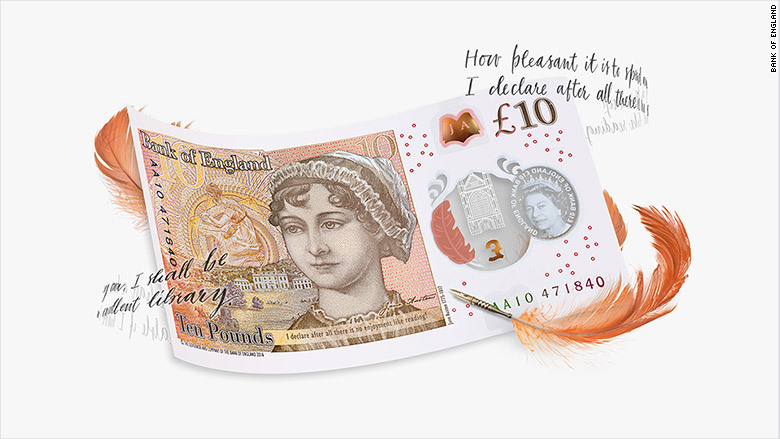 Jane Austen is the face of Britain's new £10 note. The bank's investigation into the issue showed that tallow is also used in the manufacture of bank cards and mobile phones. It added that around 30 other central banks use the same materials when producing polymer notes. Maw argued that other products that use animal fat derivatives are not "compulsory." "By only having bank notes containing animal parts they are forcing vegans, vegetarians, Hindus, Sikhs, Jains and others to handle products that directly conflict with their deeply held belief and practices," he said. Central banks have been switching to polymer cash in recent years because the flexible material resists dirt and lasts longer than paper cash. It also has some robust security features that are only possible with plastic money.